Homer and Mary raised a family of four daughters and 5 sons, one son having died in infancy. [S422] Marriages, Records of the Rockland Township Methodist Churches, Oil City, n.p., Pennsylvania Room, Franklin Library, Franklin, Venango County, Pennsylvania. Hereinafter cited as Rockland Tp. M.E. Church records. [S20] Gravestone, Homer B. Melat, Melat Cemetery, Rockland Tp., Venango Co., PA; read by transcribed by Kipp Melat. [S39] Obituary of Hulda Melat, Unknown newspaper, undated clipping, undated clipping, Personal Files, Fairfax, Virginia. [S8] Obituary of Mabel Manson, The Oil City Derrick, Oil City, PA, 10 Sep 1972, Oil City Library, Oil City, Venango County, Pennsylvania. Hereinafter cited as The Derrick. [S231] Obituary of John Dennett Melat, The News Herald, Franklin, PA, clipping, unknown date, Pennsylvania Room, Franklin Library, Franklin, Venango County, Pennsylvania. [S1462] Harry Garfield Smith, Pennsylvania Death Certificate 46420 (17 May 1907), (informant: Hulda Melat, Floyd, PA), viewed at Ancestry.com, online www.ancestry.com, accessed 9 May 2014; original at Pennsylvania Dept. of Health, Division of Vital Records, New Castle, PA.
[S233] Obituary of Albert J. Carner, Franklin Evening News, Franklin, PA, 1936, Pennsylvania Room, Franklin Library, Franklin, Venango County, Pennsylvania. [S20] Gravestone, Albert and Florence Carner, Melat Cemetery, Rockland Tp., Venango Co., PA; read by transcribed by Kipp Melat. [S231] Obituary of Andrew E. Carner, The News Herald, Franklin, PA, 1963, Pennsylvania Room, Franklin Library, Franklin, Venango County, Pennsylvania. [S10] Venango County (PA) Marriage License, marriage license of Frank Melat and Mel Flowers, Registrar & Recorder's Office, Courthouse, Franklin, Venango County, Pennsylvania. [S152] 1900 U.S. Census, Pennsylvania, Venango Co., Rockland Tp., Benjamin F. Melat household, National Archives, (Benjamin F. Melat Sep 1864, md 9y, driller; Romella S., Mar 1871; Ada I., Jun 1892). Caroline Louise Melat also went by the name of Carrie Melat. [S10] Venango County (PA) Marriage License, marriage license of George Peacock and Carrie Melat, Registrar & Recorder's Office, Courthouse, Franklin, Venango County, Pennsylvania. [S85] George H. Peacock, Death Certificate , Massachusetts Vital Records, Boston, Massachusetts. Hereinafter cited as Mass. Death Certificate. [S1273] Ohio, Deaths, 1908-1953 for Bessie M Bushnell (birthdate Feb 1878), viewed at FamilySearch (familysearch.org). [S10] Venango County (PA) Marriage License, marriage license of Robert Bushnell and Bessie Melat, Registrar & Recorder's Office, Courthouse, Franklin, Venango County, Pennsylvania. [S1273] Ohio, Deaths, 1908-1953 for Bessie M Bushnell, viewed at FamilySearch (familysearch.org). [S336] Gravestone, Bessie M. Bushnell, Franklin Cemetery, Franklin, Venango Co., PA; read by Kipp Melat. In my never ending search for the origin of our Melat family, the most intriguing possibility is that our earliest known ancestor, Robert Melat (born 1799) was a descendant of Gideon Marlat who came from Europe to settle in New Amsterdam, now New York City, in 1662. Gideon Marlat was from Rousy, Champagne, France, the son of Josue Marle or Merle and his wife Jeanne Robbe. Gideon was probably born in the 1620s. The Marlat family were French Protestants or Huguenots. Because of the persecution of the Huguenots, Gideon left France for Holland. After living in Leyden, Holland from about 1643 until the 1650s, Gideon, his wife Marguerite and their first three children moved to Mannheim, in the German Palatinate, an area known as a haven for French Huguenots at that time. Eventually the family returned to Holland between 1658 and 1662. In 1662, Gideon, his wife, and four children, ages 15, 8, 6, and 4, left Holland for New Amsterdam. The family settled on Staten Island where Gideon died around 1680. While it is not known if Robert worked as a collier the entire time he worked in the iron industry, it would certainly be consistent with the nomadic existence which Robert seemed to have lived until 1845. The stability of an iron furnace was dependent on a number of factors which made for a very transient lifestyle for those employed by it. Men and their families would move frequently from furnace to furnace as jobs were available and as long as ore was plentiful. The job of collier was a very difficult job; a job that took some degree of skill; and a job that required round-the-clock attention. Following is a description of the collier's job taken from The Iron Furnace Industry of Venango County, a research project completed by Gary R. Hutchison in 1967. "Charcoal was the critical fuel that turned the iron and limestone mixture into the molten state necessary to purify the iron and make it marketable. The charcoal was made near the furnace in excavations in the ground known as coaling pits. The charcoal was seldom transported a long distance. The coaling pits for the Jane and Valley Furnaces [in Venango County] were within a hundred yards of the furnaces. The bulky cord wood was always brought to the furnace to be transported into charcoal because the jolting transportation would have reduced the charcoal to useless powder. "The collier would place the cord wood on end in the circular coaling pits. In the center of the circle a pole was placed so that it protruded several feet above the cord wood. The cord wood was then covered with earth leaving only the center pole exposed. The collier would extract the center pole and light a fire in the cavity. The wood was then left to burn for a period of time know as the bake. The length of the bake depended on the type of wood used. The hardwoods took a longer period of time to be reduced to charcoal that did the softwoods. Coaling was very intricate process and the colliers who performed the task were usually responsible for any loss incurred due to an error in judgement. All night vigils were necessary during the bake to make certain the fire did not burn to fast and spoil the bake. Crude shelters were constructed to house the collier during these bakes. The shelter at Porterfield Furnace in Richland Township was approximately four feet wide, six feet long, and constructed of fieldstone. "It was the custom to pay many workers at the furnace on a production basis rather than a wage…. At the Jane Furnace, the colliers received $2.50 to $2.75 per hundred bushels after deducting the cost of the wood. They were required to buy the wood so that the iron master would not suffer a loss if the bake was spoiled. The condition proved to be devastating for the Melat family, for what little work the aging Robert could find became increasingly difficult for him to do. 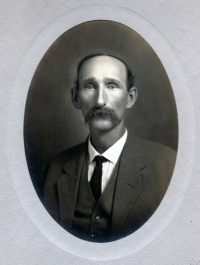 According to Henry R. Stroup, who would hire Robert when he was able, most of the time Robert was able to only do half a days work because of his disability. 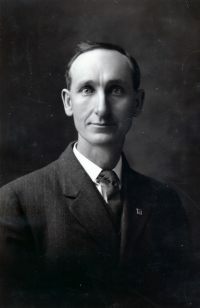 According to another frequent employer, Daniel Y. Stroup, in 1865, Robert was paid about one third the wages paid other hands at the same work. 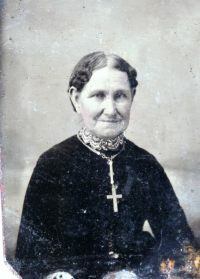 Robert's daughter Susan Melat Brandon claimed that by 1868 Robert was completely disabled. In a letter dated 1948 from Cecil Mays Runnels to Hazel Mays Walden, granddaughters of Mary Ann Melat Mays, Cecil recalls that her dad Perry Mays remembers his grandfather Robert Melat coming to live with them "down at the mill on French Creek." He recalls that Robert "had a muzzle loader gun. He used to get it out and clean it about every day and would stroke the barrel and say 'I've killed many a deer with that gun.32'"
[S88] Robert Melat file; 249.214; Civil War Pension Application (n.p. : n.pub. ), affadavit by Robert Melat, dated 21 April 1881. [S90] Unknown author, "Collingwood Family Record". , the typed record shows the year of their marriage to be 1842, however, I [DKM] assume this to be a typo since all other records show that Robert's first wife died in 1842. Hereinafter cited as "Collingwood Family Record." [S88] Robert Melat file; 249.214; Civil War Pension Application (n.p. : n.pub. ), affadavit by John M. Allison, dated 24 Mar 1884 (death of Elizabeth Melat). [S229] Obituary of Robert Melat, Venango Spectator, Franklin, PA, 15 Sep. 1887, Pennsylvania Room, Franklin Library, Franklin, Venango County, Pennsylvania. [S20] Gravestone, Robert Melat (1799-1883 [sic]), Melat Cemetery, Rockland Tp., Venango Co., PA; read by transcribed by Kipp Melat. [S128] 1820 U.S. Census, Pennsylvania, Butler Co., Slippery Rock Tp., Robert Mullatt household, National Archives, (1 male under 5, 1 male 26-45, 1 female 16-26). [S129] 1830 U.S. Census, Pennsylvania, Butler Co., Slippery Rock Tp., Robert Mulat household, National Archives, (2 males under 5, 1 male 5-10, 1 male 10-15, 1 male 30-40, 1 female under 5, 1 female 20-30 (lvg next door to brother-in-law Christian Bollinger)). [S463] Robert Melat entry, 1821-1832 Butler County Assessment Lists, Slippery Rock Tp. ; Courthouse, Butler, Butler County. Hereinafter cited as Butler Co. Assessments. [S121] Robert Melat entry, Venango County tax records, Paint Tp. (1832, 1833); Farmington Tp. (1834, 1835); Cranberry Tp. (1842, 1843, 1844); Rockland Tp. (1845); Assessment Office, Courthouse, Franklin, Venango County, Pennsylvania. Hereinafter cited as Venango County tax records. [S130] 1840 U.S. Census, Pennsylvania, Venango Co., Sandycreek Tp., Robert Melat household, National Archives. 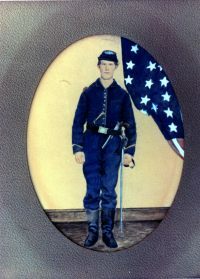 [S88] Robert Melat file; 249.214; Civil War Pension Application (n.p. : n.pub. ), James Hughes affidavit, 1884. [S121] Robert Melat entry, 1845 Venango County tax records, Rockland Tp. ; Assessment Office, Courthouse, Franklin, Venango County, Pennsylvania. Hereinafter cited as Venango County tax records. [S130] 1840 U.S. Census, Pennsylvania, Venango Co., Sandycreek Tp., Robert Melat household (1 male under 5, 2 males 10-15, 1 male 15-20, 1 male 20-30, 1 male 40-50, 2 females 5-10, 1 female 15-20, 1 female 30-40), National Archives. [S121] Robert Melat entry, 1847-1850 Venango County tax records, Rockland Tp. ; Assessment Office, Courthouse, Franklin, Venango County, Pennsylvania. Hereinafter cited as Venango County tax records. [S88] Robert Melat file; 249.214; Civil War Pension Application (n.p. : n.pub. ), affadavit by Henry R. Stroup; affadavit by William Smith; affadavit by James Hanby. [S137] 1850 U.S. Census, Pennsylvania, Venango Co., Rockland Tp., Robert Melat household, National Archives, (Robert Melat, 51, farmer; Elizabeth [sic], 40; Jackson, 11; Harrison 9). [S155] 1860 U.S. Census, Pennsylvania, Venango Co., Rockland Tp., Robert Melat household, National Archives, (Robert Melat, 58, farmer; Charlotte, 48; Aaron 12; Charles 9; Joseph M. 4; Jackson 21, carpenter). [S88] Robert Melat file; 249.214; Civil War Pension Application (n.p. : n.pub. ), affadavit by Robert Melat. [S146] 1870 U.S. Census, Pennsylvania, Venango Co., Rockland Tp., Robert Melat household, National Archives. [S146] 1870 U.S. Census, Pennsylvania, Venango Co., Rockland Tp., Robert Melat household, National Archives, (Robert Melat, 75, works on oil wells; Charlotte, 60; Aaron 17; Charles 19). [S88] Robert Melat file; 249.214; Civil War Pension Application (n.p. : n.pub. ), affadavit by Dr. John B. Glenn, M.D. [S88] Robert Melat file; 249.214; Civil War Pension Application (n.p. : n.pub. ), affadavit by Henry R. Stroup; affadavit by Daniel Y. Stroup; affadavit by Susan Brandon; affadavit by William Smith; affadavit by William Turk. [S88] Robert Melat file; 249.214; Civil War Pension Application (n.p. : n.pub. ), affadavit by Daniel Y. Stroup; affadavit by Robert Melat. [S88] Robert Melat file; 249.214; Civil War Pension Application (n.p. : n.pub. ), Service record of Jack Melat. [S88] Robert Melat file; 249.214; Civil War Pension Application (n.p. : n.pub. ), affadavit by Susan Brandon; affadavit by Mary Ann Mays; affadavit by Elizabeth Cowick. [S337] Telegram from William Melat (East Sandy, Venango Co., PA) to John Mays, 17 Dec 1884; Personal Files (Fairfax, Virginia), "Robert Melat Jr. is dead." [S88] Robert Melat file; 249.214; Civil War Pension Application (n.p. : n.pub. ), affadavit by Susan Brandon. [S88] Robert Melat file; 249.214; Civil War Pension Application (n.p. : n.pub. ), affadavit by John M. Allison, dated 24 Mar 1884. [S89] First-hand knowledge and personal recollections of Helen Rembold (Cranberry, PA), as told to Kipp Melat, Miss Rembold showed me the located of Elizabeth Melat's grave which she learned from Susan Melat Brandon. [S90] Unknown author, "Collingwood Family Record". , (written in pencil). Hereinafter cited as "Collingwood Family Record." [S258] Melat Cemetery Records: (notes burial of "wife" in Robert Melat's lot), Personal Files, Fairfax, Virginia. Hereinafter cited as Melat Cemetery Records. [S233] Obituary of Julia Melat, Franklin Evening News, Franklin, PA, (unknown date) 1910, Pennsylvania Room, Franklin Library, Franklin, Venango County, Pennsylvania. [S336] Gravestone, Robert Melat, Franklin Cemetery, Franklin, Venango Co., PA; read by Kipp Melat. [S337] Telegram from William Melat (East Sandy, Venango Co., PA) to John Mays, 17 Dec 1884; Personal Files (Fairfax, Virginia), reads "Robert Melat Jr. is dead." [S155] 1860 U.S. Census, Pennsylvania, Venango Co., Rockland Tp., Robert Melat Jr. household, National Archives, (Robert Melat, 38, farmer, real estate $400, personal estate $125; Julia A., 29; Elizabeth, 4; Harry A., 1). [S146] 1870 U.S. Census, Pennsylvania, Venango Co., Rockland Tp., Robert Melat Jr. household, National Archives, (Robert Melat, 46, farmer, real estate $1500, personal estate $377; Julian, 39; Elizabeth, 14; Harry, 12; F.E., 10; Mary E., 8; Bobby R., 6; and Anna R., 4). [S151] 1880 U.S. Census, Pennsylvania, Venango Co., Rockland Tp., Robert Melat Jr. household, National Archives, (Robert Melat, 57, farmer; Julianna A., 47; Lizz, 23; Alonzo, 21; Fred, 19; Mary, 19; Cora, 15; Anna, 13; Robert, 9; Carrie, 6; Etta, 4). [S121] Robert Melat Jr. entry, various years Venango County tax records, Rockland Tp. ; Assessment Office, Courthouse, Franklin, Venango County, Pennsylvania. Hereinafter cited as Venango County tax records. [S143] Venango County Deeds, Z:529, Registrar & Recorder's Office, Courthouse, Franklin, Venango County, Pennsylvania. Hereinafter cited as Venango County Deeds. [S143] Venango County Deeds, 54:346, Registrar & Recorder's Office, Courthouse, Franklin, Venango County, Pennsylvania. Hereinafter cited as Venango County Deeds. [S143] Venango County Deeds, 106:172, Registrar & Recorder's Office, Courthouse, Franklin, Venango County, Pennsylvania. Hereinafter cited as Venango County Deeds. [S143] Venango County Deeds, 105:76, Registrar & Recorder's Office, Courthouse, Franklin, Venango County, Pennsylvania. Hereinafter cited as Venango County Deeds. [S143] Venango County Deeds, 98:51, Registrar & Recorder's Office, Courthouse, Franklin, Venango County, Pennsylvania. Hereinafter cited as Venango County Deeds. [S143] Venango County Deeds, 125, Registrar & Recorder's Office, Courthouse, Franklin, Venango County, Pennsylvania, (1). Hereinafter cited as Venango County Deeds. [S143] Venango County Deeds, 111:79, Registrar & Recorder's Office, Courthouse, Franklin, Venango County, Pennsylvania. Hereinafter cited as Venango County Deeds. [S155] 1860 U.S. Census, Pennsylvania, Venango Co., Rockland Tp., Robert Melat Jr. household, National Archives. [S152] 1900 U.S. Census, Pennsylvania, Venango Co., Rockland Tp., Patrick O'Donnell household, National Archives. 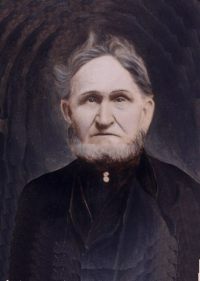 [S48] Mrs. Harold V. Linn, compiler, Daniel Smith, Pioneers Settler of Rockland Township, Venango County, Pennsylvania, His Ancestry, His Descendants, and a Brief Sketch of Related Famlies (n.p. : n.pub., 1961). Hereinafter cited as Daniel Smith Book. [S336] Gravestone, Gravestone, Anna R. Melat, Franklin Cemetery, Franklin, Venango Co., PA; read by Kipp Melat. [S151] 1880 U.S. Census, Pennsylvania, Venango Co., Rockland Tp., Robert Melat Jr. household, National Archives. 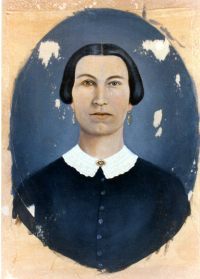 Following William's death in 1870, Elizabeth's remained on the Roberts farm in Rockland Township, Venango County, Pennsylvania, with her daughter Sarah, and her husband Harvey Bell.9 She moved from Rockland Township following her marriage to Stephen Cowick to LeBoeuf Township, Erie County. [S137] 1850 U.S. Census, Pennsylvania, Venango Co., Rockland Tp., Alex. McCarty household, National Archives. [S264] Venango County Registrar's Docket, Estate file of Alex. McCarty, Registrar & Recorder's Office, Courthouse, Franklin, Venango County, Pennsylvania. [S155] 1860 U.S. Census, Pennsylvania, Venango Co., Rockland Tp., William Roberts household, National Archives. [S96] Gravestone, WIlliam Roberts, Rockland Cemetery, Rockland Tp., Venango Co., PA; read by Kipp Melat. [S154] Will of WIlliam Roberts will, Venango County Will (unknown citation), Registrar & Recorder's Office, Courthouse, Franklin, Venango County, Pennsylvania. [S88] Robert Melat file; 249.214; Civil War Pension Application (n.p. : n.pub. ), Affidavit signed by Lizzie Cowick. [S338] Erie County Registrar's Docket, RD E:479, Registrar and Recorder's Office, Courthouse, Erie, Erie County, Pennsylvania. Hereinafter cited as Erie County Registrar's Docket. [S146] 1870 U.S. Census, Pennsylvania, Venango Co., Rockland Tp., Harvey Bell household, National Archives, (Harvey Bell, 24, PA, farm laborer; Sarah C., 23, PA; Elizabeth, 45, PA). [S155] 1860 U.S. Census, Pennsylvania, Venango Co., Rockland Tp., Alex McCarty household, National Archives. [S480] Gravestone, Mary Linton (Mary, wife of John Linton, died 24 Feb. 1894, aged 43 years), Mill Village Cemetery, Mill Village, Erie Co., PA; read by Kipp Melat, 2001. [S20] Gravestone, John R. Melat, Melat Cemetery, Rockland Tp., Venango Co., PA; read by transcribed by Kipp Melat. [S150] John R. Molat entry, Venango County Death Register [1893-1905], Registrar & Recorder's Office, Courthouse, Franklin, Venango County, Pennsylvania. Hereinafter cited as Venango Co. Death Register. [S121] John Melat entry, various years Venango County tax records, Rockland Tp. ; Assessment Office, Courthouse, Franklin, Venango County, Pennsylvania. Hereinafter cited as Venango County tax records. [S146] 1870 U.S. Census, Pennsylvania, Venango Co., Rockland Tp., John R. Melat household, National Archives. [S137] 1850 U.S. Census, Pennsylvania, Venango Co., Rockland Tp., John R. Melat household, National Archives, (John Melat, 22, farmer, Sarah, 17, married within year). [S143] Venango County Deeds, NN:438, Registrar & Recorder's Office, Courthouse, Franklin, Venango County, Pennsylvania. Hereinafter cited as Venango County Deeds. [S155] 1860 U.S. Census, Pennsylvania, Venango Co., Rockland Tp., John R. Melat household, National Archives, (John Melat, 30, day laborer; Sarah, 28; Robert, 6; John A., 4; Lolinda, 1). [S143] Venango County Deeds, 136:435, Registrar & Recorder's Office, Courthouse, Franklin, Venango County, Pennsylvania. Hereinafter cited as Venango County Deeds. [S143] Venango County Deeds, 136:434, Registrar & Recorder's Office, Courthouse, Franklin, Venango County, Pennsylvania. Hereinafter cited as Venango County Deeds. [S146] 1870 U.S. Census, Pennsylvania, Venango Co., Rockland Tp., John R. Melat household, National Archives, (John Melat, 43, coal dealer; Sarah, 36; Robert, 16; John, 13; Sarah [sic: Laura], 8; George, 8; Mary, 5; Laura [sic: Clara], 3; Harry, 1). [S151] 1880 U.S. Census, Pennsylvania, Venango Co., Rockland Tp., John R. Melat household, National Archives, (John Melat, 55, day laborer; Sarah, 46; Jackson, 24; George, 18; May, 15; Laura, 13; Harry, 11; Ella, 6). [S20] Gravestone, Lorinda J. Melat, Melat Cemetery, Rockland Tp., Venango Co., PA; read by transcribed by Kipp Melat. [S20] Gravestone, Sarah E.. Melat, Melat Cemetery, Rockland Tp., Venango Co., PA; read by transcribed by Kipp Melat. [S233] Obit. of Laura Melat Carner, Franklin Evening News, Franklin, PA, 4 Feb. 1947, Pennsylvania Room, Franklin Library, Franklin, Venango County, Pennsylvania. [S339] J. R. Melat Family Record, unknown compiler, in possession of Eugene Bell, Franklin, PA (deceased), also recollections of Eugene Bell, Franklin, PA (deceased). Hereinafter cited as J.R. Melat Family Record. Mary Ann Melat and John Woods Mays lived in LeBoeuf Township, Erie County, Pennsylvania. [S341] Cassandra Southwick Walden Beckman, compiler, The Descendants of Thomas Washington and Henrietta (Myers) Mays In America, 1786-1991 (n.p. : n.pub., June 1991), pp. 43-44. Hereinafter cited as Thomas Washington Mays Descendants. [S341] Cassandra Southwick Walden Beckman, compiler, The Descendants of Thomas Washington and Henrietta (Myers) Mays In America, 1786-1991 (n.p. : n.pub., June 1991), pp. 45 and 51 (information taken from the John W. Mays Family Bible in the possession of Sandy Beckman). Hereinafter cited as Thomas Washington Mays Descendants. 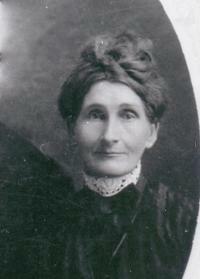 [S341] Cassandra Southwick Walden Beckman, compiler, The Descendants of Thomas Washington and Henrietta (Myers) Mays In America, 1786-1991 (n.p. : n.pub., June 1991), pp. 119 (information taken from the John W. Mays Family Bible in the possession of Sandy Beckman). Hereinafter cited as Thomas Washington Mays Descendants. 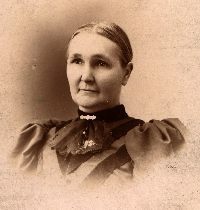 [S341] Cassandra Southwick Walden Beckman, compiler, The Descendants of Thomas Washington and Henrietta (Myers) Mays In America, 1786-1991 (n.p. : n.pub., June 1991), pp. 122. Hereinafter cited as Thomas Washington Mays Descendants. 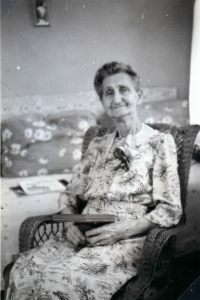 [S341] Cassandra Southwick Walden Beckman, compiler, The Descendants of Thomas Washington and Henrietta (Myers) Mays In America, 1786-1991 (n.p. : n.pub., June 1991), pp. 45 (information taken from the John W. Mays Family Bible in the possession of Sandy Beckman). Hereinafter cited as Thomas Washington Mays Descendants. [S341] Cassandra Southwick Walden Beckman, compiler, The Descendants of Thomas Washington and Henrietta (Myers) Mays In America, 1786-1991 (n.p. : n.pub., June 1991), pp. 178-179 (information taken from the John W. Mays Family Bible in the possession of Sandy Beckman). Hereinafter cited as Thomas Washington Mays Descendants. [S342] Susan Brandon, Death Certificate 3 Mar. 1919 (37656), (informant: J. W. Brandon), Pennsylvania Dept. of Health, Division of Vital Records, New Castle, PA, birthdate recorded as 2 May 1836 in Cranberry Tp. [S120] J.H. Newton, editor, History of Venango County, Pennsylvania and Incidentally of Petroleum (Columbus, OH: J.A. 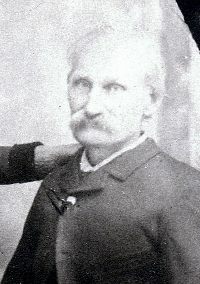 Caldwell, 1879), p. 589 (biographical sketch of James Brandon). Hereinafter cited as 1879 Venango Co. History. [S155] 1860 U.S. Census, Pennsylvania, Venango Co., Rockland Tp., James Brandon household, National Archives, (James Brandon,24, PA, farmer, 200; Susan, 24, PA; Mary, 3/4, PA). [S146] 1870 U.S. Census, Pennsylvania, Venango Co., Rockland Tp., James Brandon household, National Archives, (James Brandon, 35, PA, farmer, 1000/665; Susan, 35, PA; Orrie, 5, PA). [S151] 1880 U.S. Census, Pennsylvania, Venango Co., Cranberry Tp., James Brandon household, National Archives, (James Brandon, 44, PA/PA/PA, farmer; Susan, 45, wife, PA/PA/PA; Ora, 14, dau, PA/PA/PA; James, 3, son, PA/PA/PA). [S152] 1900 U.S. Census, Pennsylvania, Venango Co., Cranberry Tp., Susan Brandon household, National Archives, (Susan Brandon, May 1825, PA/PA/PA, wd, 6child/1lvg, house keeper; James W., Sep 1877, PA/PA/PA, single, tooldresser). [S207] 1910 U.S. Census, Pennsylvania, Venango Co., Cranberry Tp., Susan Brandon household, National Archives, (Susan Brandon, 73, PA/PA/PA, wd, 5child/lvg; James W. Brandon, 32, PA/PA/PA, son, single, laborer, odd jobs). [S98] Gravestone, gravestone of Mary E, daughter of James and Susan Brandon, Pine Hill Cemetery, Rockland Tp., Venango Co., PA; read by Kipp Melat. [S980] West Virginia Vital Research Records, Death Records, online http://www.wvculture.org/vrr/va_dcsearch.aspx, Aaron Malett. Hereinafter cited as West Virginia Death Records. [S121] Aaron Melat entry, 1871 and 1872 Venango County tax records, Rockland Tp. ; Assessment Office, Courthouse, Franklin, Venango County, Pennsylvania. Hereinafter cited as Venango County tax records. [S972] 1900 U.S. Census, West Virginia, Marion Co., Mannington, Aaron Melat household, National Archives, (Aaron Melat, Aug 1849, PA/PA/PA, md 13y, driller; Hattie, May 1865, PA/IL/IL, 3child/1lvg; Clarence, Nov 1892, WV/PA/PA). [S975] 1910 U.S. Census, West Virginia, Marion Co., Mannington, Aaron Malat household, National Archives, (Aaron Malat, 60, PA/PA/PA, M2, 22y, no occupation; Hattie A., 44, IL/IL/IL, M1, 4child/2lvg, office keeper for town; Clarence A., 17, WV/PA/IL, roust-about for oil company; Fannie A., 8, WV/PA/IL). [S205] Ancestry.com, online www.ancestry.com, U.S. Passport Applications, January 2, 1906 - March 31, 1925 (M1490) Roll 0436 - Certificates: 75625, 03 Dec 1917-05 Dec 1917, Aaron Clarence Melatt. [S114] Alma Henneman, Social Security Death Index, Master File, www.ancestry.com (Orem, UT: Ancestry, Inc., 1999), 236-72-2626. Hereinafter cited as SSDI. [S233] Obituary of Charles Melat, Franklin Evening News, Franklin, PA, 22 Jul 1930, Pennsylvania Room, Franklin Library, Franklin, Venango County, Pennsylvania. [S20] Gravestone, cemetery records show the burial of a son of Robert Melat thought to be Joseph Melat, Melat Cemetery, Rockland Tp., Venango Co., PA; read by transcribed by Kipp Melat. [S91] Warren County Historical Society, Gravestone Inscriptions from the Kinzue Cemetery (n.p. : n.pub. ), Zephaniah Morrison. Hereinafter cited as Kinzue Cemetery Gravestones. [S91] Warren County Historical Society, Gravestone Inscriptions from the Kinzue Cemetery (n.p. : n.pub. ), Maria Morrison. Hereinafter cited as Kinzue Cemetery Gravestones. [S130] 1840 U.S. Census, Pennsylvania, McKean Co., Hamilton Tp., Zephaniah Morrison household, National Archives. [S137] 1850 U.S. Census, Pennsylvania, McKean Co., Hamilton Tp., Zephaniah Morrison household, National Archives, (Zephaniah Morrison, 35, Farmer, 300, PA; Hannah, 26; Caroline, 13; Cynthia, 9; Amanda, 7; Abigail, 4; Virginia, 3/12). [S155] 1860 U.S. Census, Pennsylvania, McKean Co., Hamilton Tp., Zephaniah Morrison household, National Archives, (Zephaniah Morrison, lumberman, real estate $5000, personal estate $255, PA; Hannah M., 36; Abigail, 14; Virginia, 10; Franklin P., 7; Patsey F. 1). [S146] 1870 U.S. Census, Pennsylvania, McKean Co., Hamilton Tp., Zephaniah Morrison household, National Archives, (Z. Morrison, 55, farmer, real estate $4000, personal estate $700; Maria, 46, keeping house; Jennie, 20; Frank, 17; Florence, 11, Walter [Matthew], 6; Albert, 9; Almira, 2/12, May). [S151] 1880 U.S. Census, Pennsylvania, McKean Co., Hamilton Tp., Mariah Morrison household, National Archives, (Mariah Morrison, 56, PA, F-CT, M-IR; Frank, 27; Matthew, 17; Almira, 10, niece). [S94] File Card Collection, Warren County Historical Society, Warren, Pennsylvania, unknown source. [S155] 1860 U.S. Census, Pennsylvania, McKean Co., Hamilton Tp., Zephaniah Morrison household, National Archives, ((name listed as Franklin P.)). [S1462] Florine Northrop, Pennsylvania Death Certificate 25186 (7 Mar 1922), (informant: Harriet Northrop Gardner, Hallton, PA), viewed at Ancestry.com, online www.ancestry.com, accessed 25 Apr 2014; original at Pennsylvania Dept. of Health, Division of Vital Records, New Castle, PA; (parents Zephania Morrison and Maria Russell). [S155] 1860 U.S. Census, Pennsylvania, McKean Co., Hamilton Tp., Zephaniah Morrison household, National Archives, ((name listed as Patsey F.)). [S137] 1850 U.S. Census, Pennsylvania, Warren Co., Pinegrove Tp., Joseph Northrup household, National Archives. [S94] File Card Collection, Warren County Historical Society, Warren, Pennsylvania, Northrup file. [S91] Warren County Historical Society, Gravestone Inscriptions from the Kinzue Cemetery (n.p. : n.pub. ), Amanda Morrison. Hereinafter cited as Kinzue Cemetery Gravestones. [S94] File Card Collection, Warren County Historical Society, Warren, Pennsylvania, Family records from Layton M. and Ella (Wheeler) Strong Bible. [S91] Warren County Historical Society, Gravestone Inscriptions from the Kinzue Cemetery (n.p. : n.pub. ), gravestone of Lebbeus and Cynthia Strong. Hereinafter cited as Kinzue Cemetery Gravestones. [S91] Warren County Historical Society, Gravestone Inscriptions from the Kinzue Cemetery (n.p. : n.pub. ), Lebbeus and Cynthia Strong. Hereinafter cited as Kinzue Cemetery Gravestones. [S151] 1880 U.S. Census, Pennsylvania, McKean Co., Hamilton Tp., Lebbus Strong household, National Archives, (Lebbus Strong, 45, PA, bark peeler; Cynthia, 40; Layton, 19, bark peeler; Clarissis, 17; Jean, 11; Margie, 9; Zephaniah, 6; Maud, 2; Peter Dempsey, 48, bark peeler; Jesse Snyder, 24, bark peeler; Sara Draffenbacher, 14, servant). [S152] 1900 U.S. Census, Pennsylvania, McKean Co., Hamilton Tp., Lebbus Strong household, National Archives, (L.M. Strong, Aug. 1835, m. 42y; Cynthia E., Sep 1840, 9child/6lvg; Leonard J., May 1881). [S152] 1900 U.S. Census, Pennsylvania, McKean Co., Hamilton Tp., Lebbus Strong household, National Archives. [S207] 1910 U.S. Census, Pennsylvania, McKean Co., Kinzua Tp., Edward Strong household, National Archives, (Edward Strong, 62, PA/MA/PA, md41y, laborer, stone work; Jane E., 67, MA/VT/MA; Lebbus M., 76, PA/MA/PA, md52y, brother; Cynthia E., 70, PA/PA/PA, 10child/6lvg, sister-in-law). [S433] 1920 U.S. Census, Pennsylvania, Warren Co., Farmington Tp., Layton M. Strong household, National Archives, (Layton M. Strong, 58, PA/PA/PA, farmer, dairy farm; Ella M., 57, PA/PA/PA; Elmer M., 24, PA, laborer, home farm; Cynthia E. Strong, 79, PA/PA/PA, mother, wd, nurse). [S485] Marriage License, license of John T. Lamb and Clarissa A. Strong, Registrar & Recorder's Office, Courthouse, Warren, Pennsylvania. [S91] Warren County Historical Society, Gravestone Inscriptions from the Kinzue Cemetery (n.p. : n.pub. ), Regina C. Strong. Hereinafter cited as Kinzue Cemetery Gravestones. [S151] 1880 U.S. Census, Pennsylvania, McKean Co., Hamilton Tp., Lebbus Strong household, National Archives. [S152] 1900 U.S. Census, Pennsylvania, Butler Co., Marion Tp., Michael McAnallen household, National Archives. [S214] Abigail M. McAnallen will, Mercer County Will WB 14: 226, Registrar & Recorder's Office, Courthouse, Mercer, Pennsylvania . Hereinafter cited as Mercer County Will. [S215] Gravestone, Michael and Abigail McAnallen, St. Alphonsus R.C. Cemetery, Forestville, Butler Co., PA; read by Kipp Melat. [S487] Butler County Registrar's Office, AD 1:302, Courthouse, Butler, Butler County. Hereinafter cited as Butler Co. Registrar's Office. [S215] Gravestone, Frank S. McAnallen, St. Alphonsus R.C. Cemetery, Forestville, Butler Co., PA; read by Kipp Melat. [S114] John L. McAnallen, SS# 159-16-7839, Social Security Death Index, Master File, www.ancestry.com (Orem, UT: Ancestry, Inc., 1999). Hereinafter cited as SSDI. [S151] 1880 U.S. Census, Pennsylvania, McKean Co., Wetmore Tp., Samuel P. Bray household, National Archives. [S152] 1900 U.S. Census, Pennsylvania, McKean Co., Hamilton Tp., Edward M. Bray household, National Archives. [S485] Marriage License, marriage license of Elizabeth L. Bray and Henry Franklin Schobey, Registrar & Recorder's Office, Courthouse, Warren, Pennsylvania. [S485] Marriage License, marriage license of Virginia L. Bray and Harvey G. Berkhouse (birthdate is listed as 1884, however, her mother died in 1883, Registrar & Recorder's Office, Courthouse, Warren, Pennsylvania. [S973] U.S. Passport Applications, 1795-1925 Record for Frank Morrison, viewed at Ancestry.com (www.ancestry.com). [S973] U.S. Passport Applications, 1795-1925 Record for Frank Morrison (marriage date recorded as 1 Apr 1881), viewed at Ancestry.com (www.ancestry.com). [S142] John W. Jordan LL.D Genealogical and Personal History of the Allegheny Valley, Pennsylvania (New York: Lewis Historical Publishing Co., 1913), 2:719-722. Hereinafter cited as Jordan's Allegheny Valley. [S94] File Card Collection, Warren County Historical Society, Warren, Pennsylvania, Obituary of Frank Morrison. [S973] Dunkirk Evening Observer, Dunkirk, NY, 27 July 1931, Obituary of Frank Morrison, viewed at Ancestry.com (www.ancestry.com). [S94] File Card Collection, Warren County Historical Society, Warren, Pennsylvania, Obituary of Frank Morrison and Oakland Cemetery gravestone inscriptions. [S152] 1900 U.S. Census, Pennsylvania, Warren Co., Warren, Pennsylvania Ave, Frank Morrison household, National Archives, (Frank Morrison, Nov 1851, PA/PA/PA, md19y, lumberman; Ella S., Jul 1856, PA/PA/NY, 5child/5lvg; Ethel V., July 1881, PA; Earl R., May 1884, PA; R.Z., Nov 1885, PA; Fay M., Aug 1889, PA; Henry J., Jan 1894, PA; Virginia L. Bray, Dec 1883, PA/PA/PA, neice; Maude Ferry, Apr 1884, PA/Scot/Can, servant). [S114] Robert Morrison, 559-09-3544, Social Security Death Index, Master File, www.ancestry.com (Orem, UT: Ancestry, Inc., 1999). Hereinafter cited as SSDI. [S155] 1860 U.S. Census, Pennsylvania, McKean Co., Hamilton Tp., Zephaniah Morrison household (name listed as Patsey F.), National Archives. [S1462] Florine Northrop, Pennsylvania Death Certificate 25186 (7 Mar 1922), (informant: Harriet Northrop Gardner, Hallton, PA), viewed at Ancestry.com, online www.ancestry.com, accessed 25 Apr 2014; original at Pennsylvania Dept. of Health, Division of Vital Records, New Castle, PA.
[S1100] Burial Record, Pine Grove Cemetery, Russell, Warren Co., PA (Flora, w/o Fred Nothrop, 1859-1922), recorded created by djb, 24 Dec 2012, # 102540212, viewed at www.findagrave.com. [S94] File Card Collection, Warren County Historical Society, Warren, Pennsylvania, Obituary of Florine Morrison Northrup. [S152] 1900 U.S. Census, Pennsylvania, Warren Co., Farmington Tp., Fred Northrop household, National Archives, (Fred Northrop, Nov 1858, PA/PA/PA, md17y, farmer; Flora, Mar 1859, PA/PA/PA, 3child/3lvg; Hattie M., June 1890, PA; Claud M., Apr 1893, PA; next household: Lyman D. Northrop, Jan 1833, NY/NY/CT, md45y, farmer; Harriet, June 1836, PA/NY/NY, 2child/2lvg; (Carl Northrop, Feb 1885, PA/PA/PA, was a farm laborer lvg w/John J. Mahan household)). [S207] 1910 U.S. Census, Pennsylvania, Warren Co., Farmington Tp., Fred Northrop household, National Archives, (Fred Northrop, 51, PA/PA/PA, md26y, farmer; Flora, 51, PA/PA/PA, 3child/3lvg; Hattie, 19, PA, teacher; Claude, 16, PA; next household: Lyman D. Northrop, 77, NY/NY/CT, md54y, farmer; Harriet, 74, PA/Eng/NY, 2child/2lvg). [S433] 1920 U.S. Census, Pennsylvania, Warren Co., Warren, Cayuga St., Fred Northrop household, National Archives, (Fred Northrop, 61, PA/NY/PA, laborer, veneer plant; Flora, 61, PA/PA/PA; Lottie, 32, PA/PA/PA, dau, wd, photographer, art studio; Beryl E., 8, PA/PA/PA, granddau). [S213] Obituary of Carl Northup, Warren Evening Times, Warren, PA, 26 Oct 1918. Hereinafter cited as Warren Evening Times. [S1462] Carl W. Northroup, Pennsylvania Death Certificate 137846 (27 Oct 1918), (informant: Mrs. Flora Norhroup, Warren, PA), viewed at Ancestry.com, online www.ancestry.com, accessed 25 Apr 2014; original at Pennsylvania Dept. of Health, Division of Vital Records, New Castle, PA; (parents Fred Northrop and Flora Morrison). [S152] 1900 U.S. Census, Pennsylvania, Warren Co., Farmington Tp., Fred Northrup household, National Archives.